There are concerns over how controversial hospital deaths are investigated. In a series of special reports today, The Detail reveals concerns over how controversial hospital deaths are investigated. 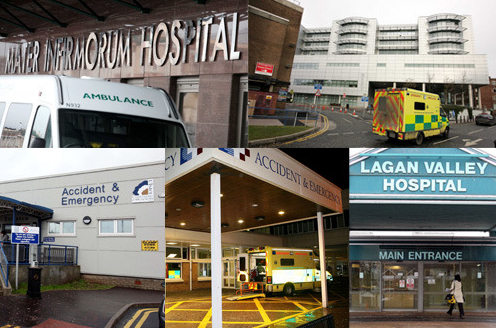 Our reports are being published as politicians at Stormont are divided over a request from Northern Ireland’s top law officer, Attorney General John Larkin QC, who is seeking greater powers to scrutinise hospital deaths. It is a political decision with major implications and comes at a time when safety in hospitals is under the spotlight to a greater degree than ever. Dame Janet Smith, who led the UK’s inquiry into notorious killer Dr Harold Shipman, believes the Department of Health’s plans for investigating hospital deaths here will not identify where “bad practice has been concealed”. She speaks out in support of the Attorney General’s request for new powers, but believes even greater reform is necessary. A bereaved family tell how they were left “frustrated and disillusioned” by flaws in the system following the hospital death of a loved one who was given the wrong medication. Attorney General John Larkin says the public would welcome a set of “independent eyes” to look at hospital deaths that at present “fall between the cracks”. We also look at how the Department of Health believes the current system is “sufficiently robust”. The number of hospital deaths reported ‘late’ to the coroner in Northern Ireland has doubled in the last year. Additional new figures show that deaths in England and Wales are almost twice as likely to be reported to the coroner than is the case in Northern Ireland. 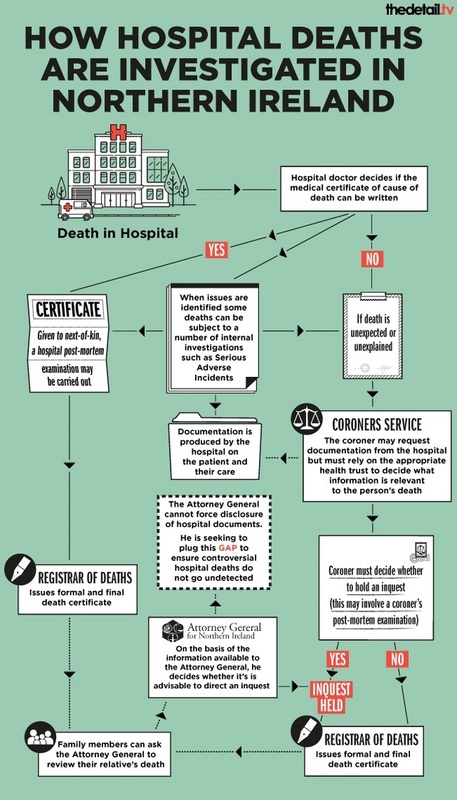 * A number of internal systems to help certify deaths are in operation across some health trusts. These are not reflected in this infographic but are referenced in other articles published by The Detail today. Click here to read part one of a special series of articles published by The Detail today. We speak to Dame Janet Smith, who led the UK’s inquiry into notorious killer Dr Harold Shipman, about why current plans to reform how hospital deaths are investigated here are unlikely to work.